Pressuring a bunch of celebrities to come and hang out and enjoy themselves like wedding guests, and if so, who? 3. Secretly fall in love with a sensitive employee of the wedding and elope skipping the whole thing. And if so, would you prefer a young reporter, a humble singer, a hotel manager, or a caterer? I am a strong three, and I think I would vote for the caterer. But that might just be because I want more cake. This entry was posted in Uncategorized and tagged Ambani, Monday Morning, Monday Morning Questions by mredlich21. Bookmark the permalink. 1. Why don’t you review Kannada movies? 2. Do you have any plans to watch Haider? Welcome! So glad to have a new person, and glad you are already commenting! 1. I just sort of fell into my non-Hindi reviewing. Malayalam because one of my very first commentators was Malayali and suggested it and then I got a ton more Malayali readers. Tamil and Telugu because they have such big releases in America, it made sense to see them in theaters and then try to learn more about the background of the industry by watching older films on streaming. Anyway, Kannada doesn’t have that. The releases are usually small, and I haven’t gotten a lot of requests from my readers for reviews. I take opening up to a new language group seriously, and Kannada hasn’t really forced itself on me so far. 2. I do, someday. It took me ten years to watch Omkara, and I still haven’t seen Maqbool. But yes, someday I will watch Haider. Keep reminding me. TOO PERFECT. That’s what freaked me out the most about the whole wedding, the raw display of power to get all of those people to turn out and perform. I was particularly appalled by Gauri. SRK regularly performs at wedding, performing for the Ambanis isn’t out of line for him. But his wife isn’t a performer so dragging her into it is just gross. And getting Aamir to dance (badly) and using Salman as backup to his daughter, again, raw display of power. Yuck. Eat the rich. Yes! Gauri showing up, and Aamir, makes me think they didn’t officially hire the performers. If you hire someone like Shahrukh, he shows up and does his performance and then makes nice with the crowd all night and so on and so forth. This feels more like they pressured all their famous friends to show up and pretend to be happy to be there, pretend to be part of the family. It doesn’t have to be a lot of pressure, AbRam goes to school at Nita Ambani’s school (as do a lot of the actor kids, could be Aaradha and Azad are there too, I don’t remember). All you have to do is indicate in the school context that it would be nice if Gauri performed with Shahrukh and kind of leave open the implication that this might affect AbRam, and they would hop to it. Not saying that’s what it is, but it definitely feels more like personal pressure points to get them to show up and dance than like a nice clean big check. And if there wasn’t any pressure at all??? What if they enjoyed to do something special for that wedding, without being payed or pressured…just because Ambani (& his family) are enthusiastic about Hindi movies and investing in them??? Actually, I prefered to have a kind look on all that what was happening on stage…maybe because I had the feeling that there was a kind of childlike pleasure. I promise you there were no threats of anything affecting AbRam. I taught at a private school in NYC where the most powerful people in the city were on the board and the one group that was protected fiercely by the school was the kids. Second, why can’t some of these people have genuine affection for Isha? After all they have known her from childhood. No one would think it was coerced if it was a star kid. I think Gauri does NOTHING she doesn’t want to do in the context of his work. She has not shown up to many important events. They dance together because they wanted to. Not only did the Ambani’s not coerce her, neither did her husband. She was in the mood to do something she hasn’t done. Remember she trained with Shiamak Davar. Was Gauri really “dragged” into performing with ShahRukh? Actually, I wasn’t “appalled”…to me it seemed like a nice gesture. It’s very unlikely that they were paid. Even little Aaradya was dancing on stage with her parents in a video I saw. I just can’t picture actors letting their wives and kids dance for money. The Ambanis are not as bad in these cases as they appear. Isha Ambani danced on stage at Priyanka’s sangeet. All the Ambanis attended PC’s wedding and then flew out the same night to rush to Deepika’s reception. They turn up for small events like Shweta Bachchan putting out her new (ugly) line of clothes and they’ve taken time out to visit Gauri at her store. It’s not like they throw money and make everyone appear for them while doing nothing in return. When Beyonce was performing, Nita and Mukesh were standing in a special section with SRK-Gauri, Aamir-Kiran, and Deepika-Ranveer. I think Sachin was with the group too. They are treated like family members, not employees. These relationships are more complicated than rich people hiring whoever they want. They are clearly friends but as the richer more powerful ones, the Ambanis would hold the advantage. I think Claudia’s and Anonymous’ interpretations are closer to the truth. Though I definitely chuckled at the Paheli video posted by Angie! At the same time, I’m sure there is no question who holds more power in the relationships. Yes!! Exactly! Your brought out points I had forgotten to!! Humble singer. I’m sucker for manly voice. And I don’t want to feel like I stumbled on a Bollywood award night at my wedding party. The whole Ambani thing is so tacky and I don’t even mean the celebrity part. The dancing by Nita Ambani,her kids,the In-laws in such an overt Bollywood setting reeks of wannabes. The video where the bride and groom is dancing in the sides with Ash dancing so gracefully is a pain to watch. I mean,you are the bride and groom-do u want to remember your big day being an extra among famous people? Qn- which cake did u bake,have you watched Maari2,Seethakathi trailers? Exacly my thoughts – they are spending so much money but the result is so pretentious. I don’t know if somebody like Ambani can do a wedding with not so many guests, but it would be better. I was thinking with the Ambanis, if they weren’t “the Ambanis” and if this was just a regular non-famous people wedding, I wouldn’t necessarily find it offensive. Fine, the bride’s family wants to do a big dance number, it’s their day, they can do whatever they want. It’s the forcing of the celebrities into it and the massive media coverage that makes it feel tacky. Like they are showing off for the world instead of just doing what they want for themselves. Or something like that. I made an orange cake, very odd, but it was the only cake mix box I had on hand. And I have seen neither of those trailers, if you link me I’ll watch them after I get home tonight. Maybe it was thought as a show-off…but what if not? If they just enjoyed the possibility to have the means/influence to have all the celebrities they want on Isha’s wedding? What if all of Hindi filmindustry went there and performed without being payed, took back or center stage, made non-dancers move (‘if you have feet you can dance’) just for the pleasure of dancing, of having fun??? I would say look at the contrast between the performances at the Ambani wedding vs. the performances at Sonam’s wedding. Sonam’s wedding felt like a family gathering where everyone just happened to be a professional performer. The Ambani wedding felt like a forced march to the stage. I was thinking about that too. Gauri, for instance, loves to dance and there was one fuzzy video from Sonam’s wedding showing her dancing in a group with her woman friends on the floor. But she wasn’t going up on stage and dancing where everyone could see her like she was a performer. It just feels different somehow. Of course it felt different because it was the part of the sangeet with the stage performances…but then there was the after party…like in Sonam’s party. That doesn’t mean that there wasn’t an inherent graciousness of those stars performing on stage. I’m not Indian so I don’t know how Indians may feel in a situation like the wedding of a superrich that also invests in the filmindustry…still I prefer to have a kind look so that I don’t find anything “tacky” or forced…I just see that they wanted to enjoy the wedding (and the performances I prefer to see as a kind of giving to add to the enjoyment). 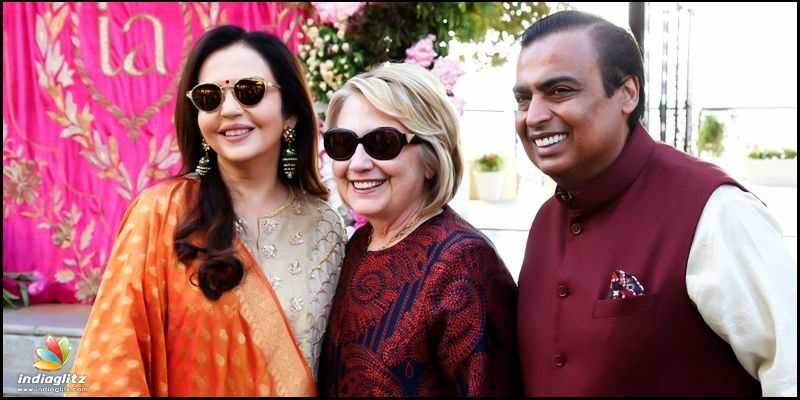 The only thing that bothers me about the Ambani wedding is Clinton’s presence. Most likely the Ambani’s have donated heavily to the Clinton Global Foundation and this is quid pro quo. Politically it just gives the crazies on the right more ammunition against her. The Beyonce presence doesn’t bother me that much, but it does make me sad that someone that rich and famous still can be lured by a giant price tag (I’m thinking they paid her in the tens of millions). And the music biz isn’t the same as it used to be where you made your money on record sales. It’s all about touring and performances like this so you can’t blame her. As for the Bollywood presence at the wedding, it doesn’t really bother me…I agree with Claudia that maybe they like partying with the excessively wealthy (they are too) and many of them are truly friendly with each other. The family is business royalty and finance so many film productions that it does just seem like good “donor relations” besides. Is it any different than Elton John or others performing at the English royalty’s weddings and stuff? I do still think that Deepika and Ranveer will have head the coolest wedding celebrations this year, that Sonam’s was the sweetest and most family-oriented, and that Anushka’s was the perfect for her and Virat. Kind of inside/kind of outside that whole world but low-key in a normal person way. I think I’m most tired of all women wearing Sabyasachi. I mean cmon ladies – you’re so rich, get creative! And ugh what a tacky, ostentatious wedding. I cannot believe people haven’t told them how ridiculous this looks! I liked Sonam’s wedding the most – didn’t look like she was doing anything for anyone, people genuinely seemed to be having a great time! Well you know Sonam’s wedding only turned out low-key because Sridevi had recently died. People are not supposed to have big weddings and parties in the mourning period that usually lasts from weeks to a year. There were rumors she was planning on having a destination wedding in Geneva and she also said the Mumbai wedding came together in about the month. The ceremony itself was held at her aunt’s house and the party at night at her friend’s hotel so she used whatever was quickly accessible since the big plans went awry. I liked Sonam’s wedding not because it was low key but because of her cousins and friends. And it was tastefully done, and most importantly people were live streaming everything, so you felt like you were part of it! Pictures – I liked Anushka’s the most – so well lit, Ranveer/Deepika – no way of knowing how the wedding was because I didn’t see any videos, and I’ve OD’d on Sabya outfits. Sonam’s wedding just felt fun, like when Anil was banging on a drum onstage with a look of glee on his face and Shahrukh and Salman drunkenly serenading a guest. It wasn’t choreographed, everyone was loose and having a good time. Yep, I also think that it would have been another kind of wedding in other circumstances…and in addition I think it was also due to alcohol that people seemed so easygoing at the time the videos were shot. Manish Mahlotra did this wedding, not Sabyasachi. Sabya designed most of Ranveer-Deepika outfits is what I meant. If I were Ambani level rich I’m not sure I’d marry. But I could run off with the dance teacher for my beloved little sister’s wedding and we could have a fun few years together before he left me, with my blessings, and our 2 little kids, for a career in the UK on Strictly Come Dancing. With shared custody of course. And then you could swing back for another wedding and pick up a singer or caterer for a change of pace! A nice no strings relationship while raising the two kids. As the last 2 names suggest, her feet are big for her size. She may grow into them, though, but will probably stay firmly in the medium range. I love the two spots over her eyes!!!!!! I might vote for “Comet” just because they sort of look like comets in the night sky. And thank you for letting us be part of such a fun project! I like Bootsy as a name because it sounds sweet. They do. And she has a long tail! Apparently tan spots over the eyes on dogs with black faces is an evolutionary thing, to fool predators/other dogs into thinking that’s where the eyes are. Just learned that when googling to try to find out what she might be a mix of. 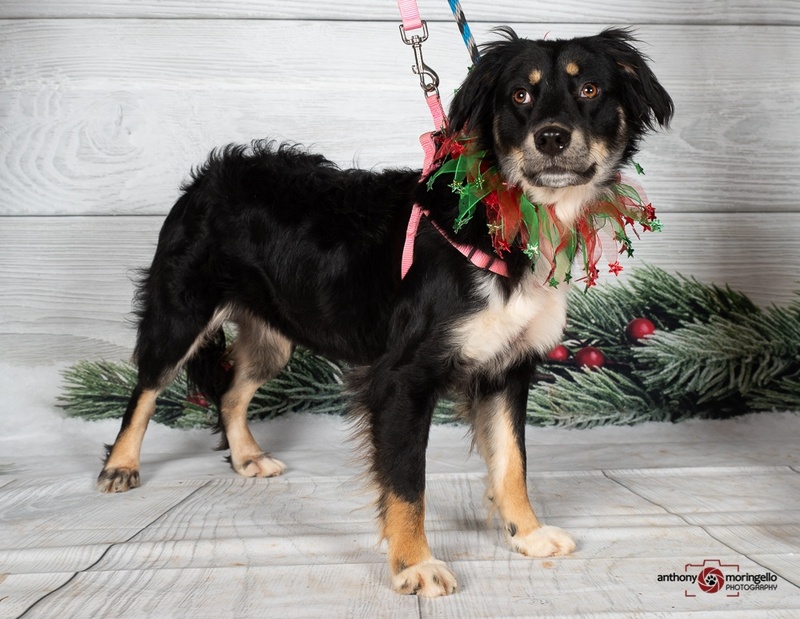 We think sheltie/cocker spaniel? So, a very smart breed and a not-so-smart breed, she should average out to normal dog. Yep, that’s what we hope! Bollywood is concerned let’s not forget that the Ambani wedding was an Event to be seen at. Finally, the actual wedding hasn’t taken place yet. It will be Wednesday at the Ambani home Antilla in Mumbai. It’ll be interesting to see who’s invited/show up to that one.